In this article we’re going to focus on specific problem which you will probably face if you start developing GraphQL APIs. I will try to explain the problem first and then show you how it can be solved using DataLoaders. Imagine that you’re developing a blog. 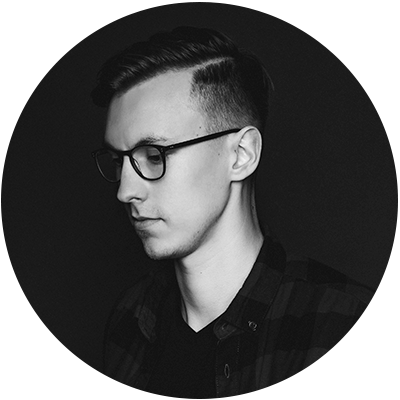 Your server should provide GraphQL API so that your client app written in React, Vue or Angular can consume it and show some data to the user. But there is one big problem that isn’t obvious because everything worked and we didn’t get any errors when we tried to make a request to the API. 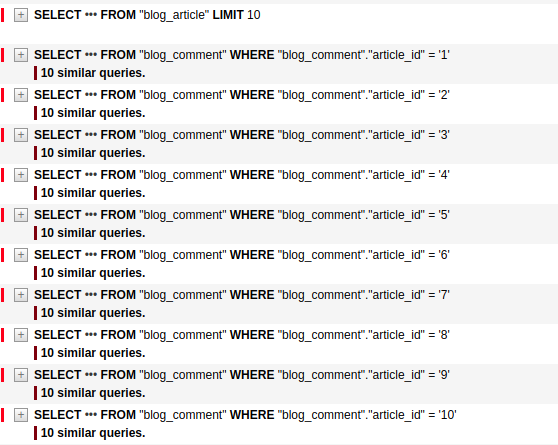 Inside of resolve_comments function we make a separate SQL query for fetching all comments related to the article. But resolve_comments is going to be called once for each article. So, if we have 10 articles, in order to get all required information, we need to send 1 SQL query for fetching a list of articles and 10 additional queries for fetching a list of comments for each article. This problem called N+1 Problem. Now I’m going to show you how to solve it. Yes, we can. And DataLoaders will help us with that. Instead of getting a list of comments related to one particular article, we could collect all article ids and after some time, when all of the article ids were batched together, we could get comments for all articles at once. The list of values must be the same length as the list of keys. Each index in the list of values must correspond to the same index in the list of keys. This is what batching is, but what about caching? Caching is much simpler. If we load the same key two times, we’re only going to request it once. That’s it. 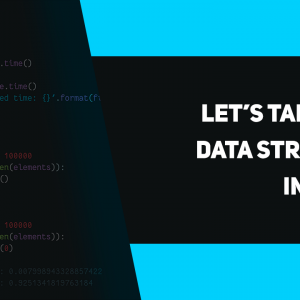 And the last important thing you need to know is that each DataLoader instance is created when a request begins, it’s only responsible for batching and caching relative to this single request. When the request ends, the DataLoader instance will be garbage collected. Actually, you can serve multiple requests with one DataLoader instance if you want, but it’s not recommended. Ok. That’s interesting. But how to use the DataLoader that we have just created? DataLoaders is a beautiful tool that helps us to make our application more efficient by using two techniques: batching and caching. With batching we decrease the amount of requests to the database by grouping multiple requests into one batch request. With caching we avoid requesting the database at all. If you got lost somewhere during reading the article, I’ve uploaded the source code on GitHub. It should help. 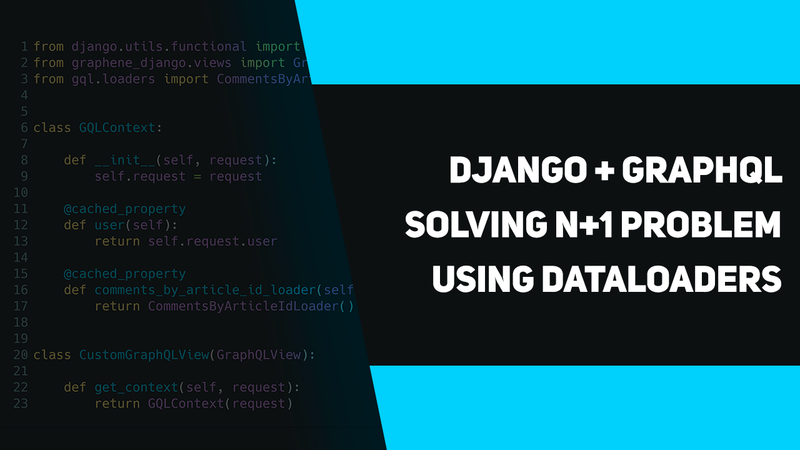 I was wondering how you integrate GraphiQL with django-debug-toolbar? Hi, it works without any integration. But it works only when you reload the page. 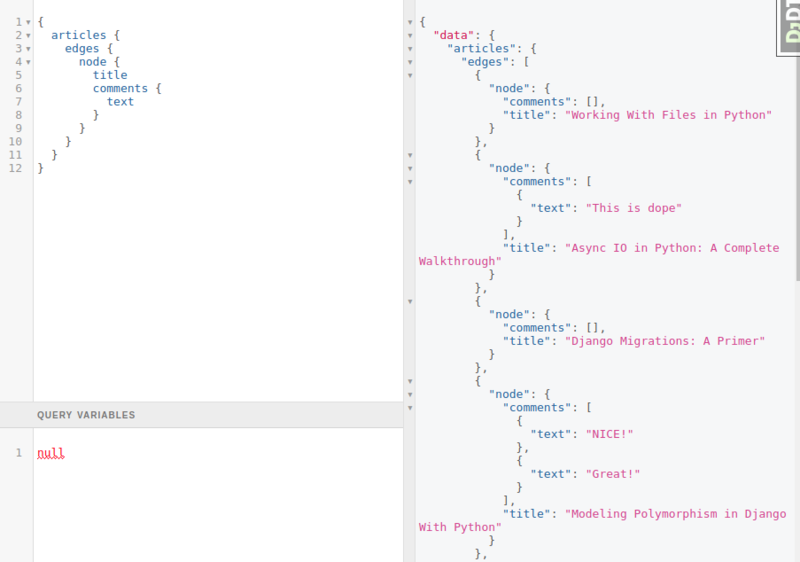 If you just click on “Execute Query” button in GraphiQL, it won’t work. You need to write query and then reload the page.